Fictional Mountain Dew Rising Stars Challenge jerseys for the All-Star Weekend. Balls are included (Charlotte 2019 + Generic red, white and blue). Tutorial: Extract the zip. Open the clothing folder and put the clothing files in the clothing folder (who in your waigua. If you havent it, put the entire clothing folder in the waigua for create it) and the others in the waigua (uxxx files and ball). 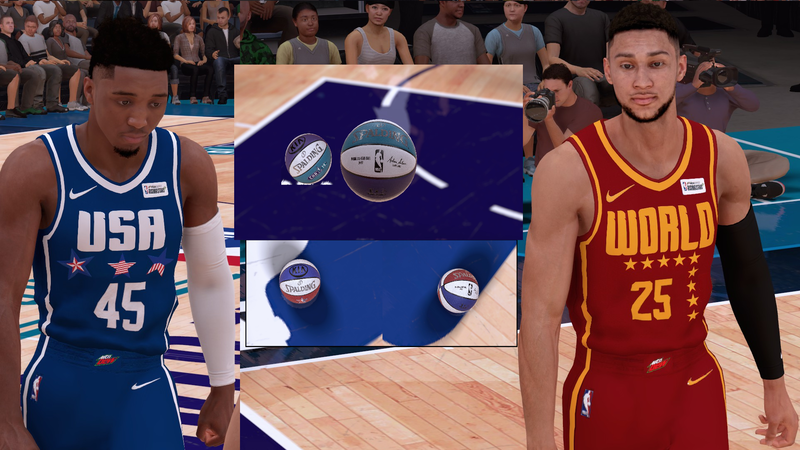 For the ball, you need to choose what style you want... Charlotte 19 or a generic.